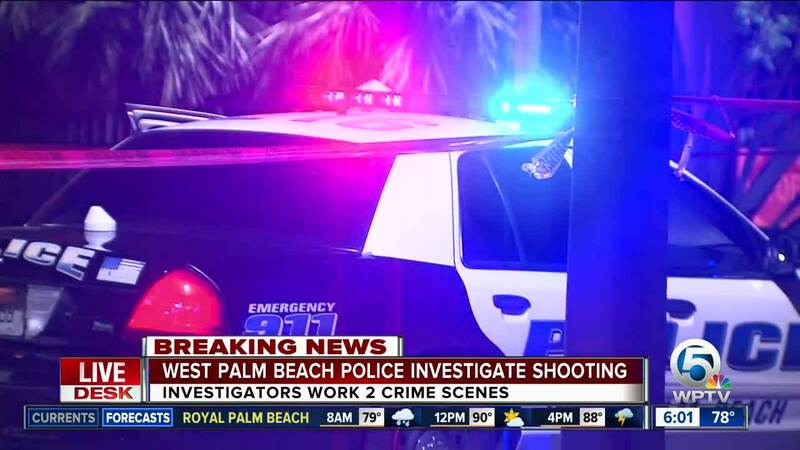 Detectives in West Palm Beach investigated a shooting at two different locations overnight. Police said a man was shot and drove himself to the hospital. Overnight, West Palm Beach police officers were spotted at St. Mary's Medical Center on 45th Street. Detectives were also on 16th Street and Spruce Avenue looking for evidence and trying to piece together what happened. It is unclear if anyone was arrested or the condition of the victim.